We have really been giving our little donut maker a workout lately. We did the Chocolate Chip Donuts and Pumpkin Spice Donuts, as well as a few gluten free recipes. 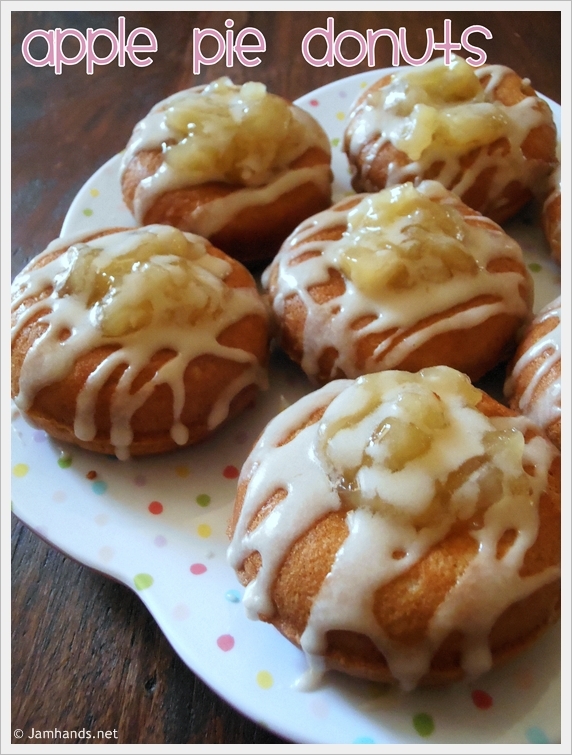 This time around we went with Apple Pie Donuts. My secret was that I overfilled the pan just a touch so that there wasn't a hole in the center of each donut, then I placed a dollop of apple pie filling inside of that. So cute and so yummy! center. Whisk in the butter, apple, milk and egg until mixture forms a smooth batter. 2. Spray machine with cooking oil. Fill bases of preheated donut rings with half of the batter. in total. Garnish with extra apple pie filling and a simple powdered sugar glaze. Mmm these look absolutely delicious! 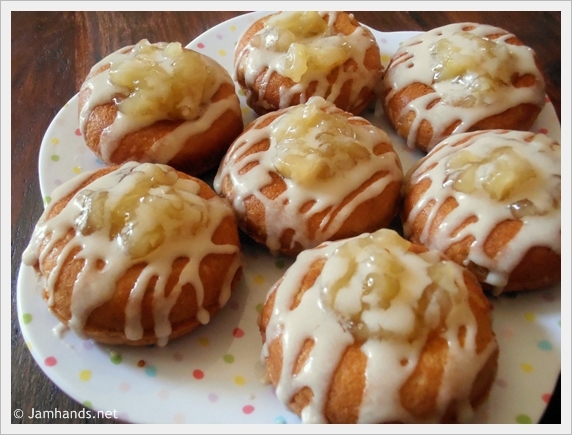 What a great idea to make donuts like this, love the combination of the donut and apple pie! Looks really yummy! YUM - These look amazing! I would love to invite you to share these, and any other posts, at my Creative Thursday Link Party at www.michellestastycreations.blogspot.com. Have a great weekend. I made these yesterday (found the recipe via Pinterest) and I LOVE them. I'm eating one right now. SO delicious! Thanks for sharing. These will be on my blog VERY soon! Aww I wasn't sure if you'd remember! I've been meaning to email you to say hi since I found your blog but I tend to get pre-occupied or maybe just absent-minded sometimes. LOL I think I found you via Pinterest and glad I did, it's good to see you're still blogging. I took a step back for a while, and sometimes it's hard to get in gear with it, but I'm glad to be back at it.